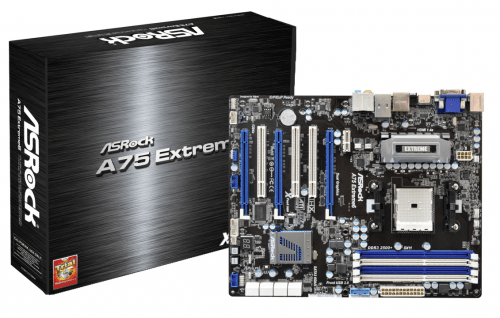 With the advent of any new chip-set being released there will invariably be a veritable smorgasbord of motherboards to accommodate the new platform. 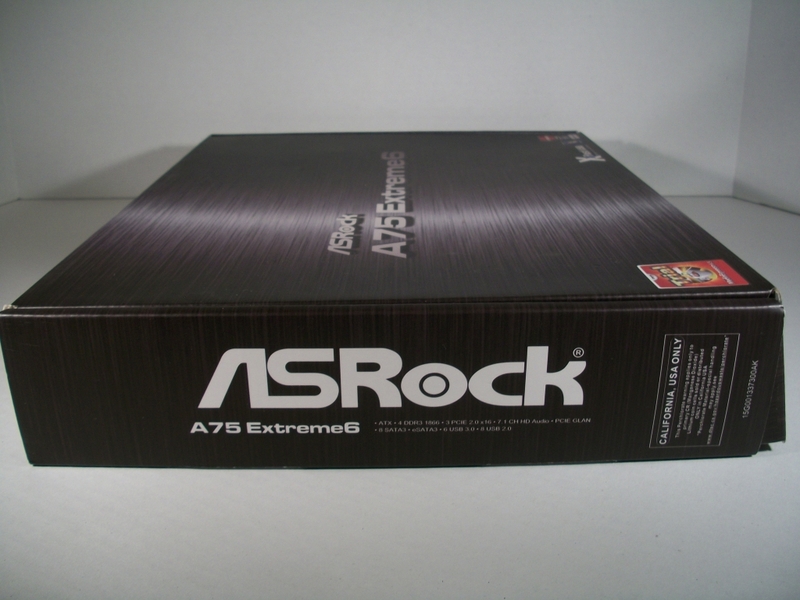 AMD’s Llano family of processors is no different and one such board to spring up is ASRock’s A75 Extreme6 motherboard. 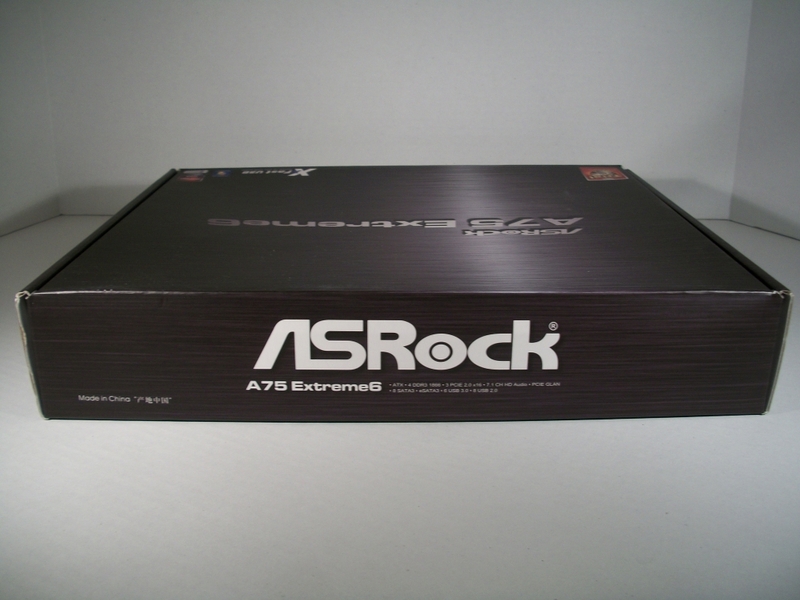 ASRock’s new board comes in at $139.99 U.S. 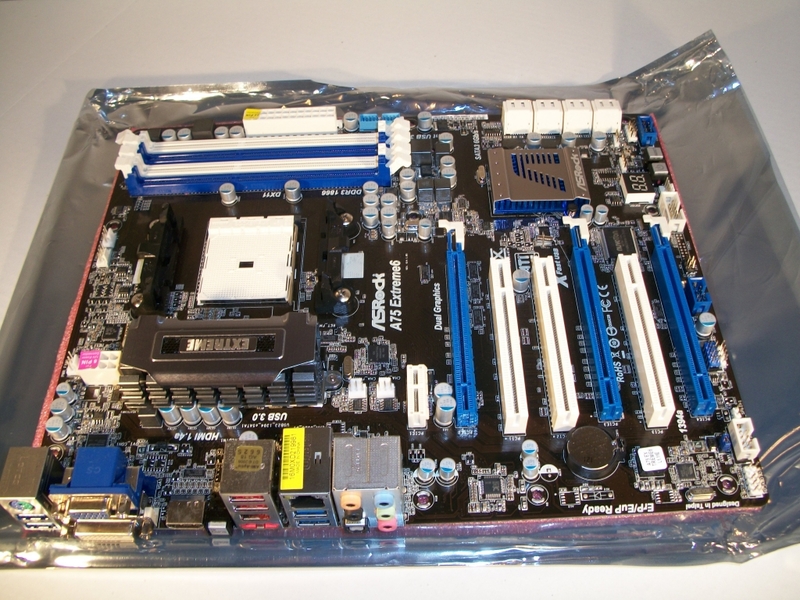 Dollars on Newegg.com, which is a good price for a board, but still an investment considering the financial climate. I had to ask myself if the benefits of the board outweighed the expenditure of funds. That, ladies and gentlemen, is the question I hope to answer for you with this review. 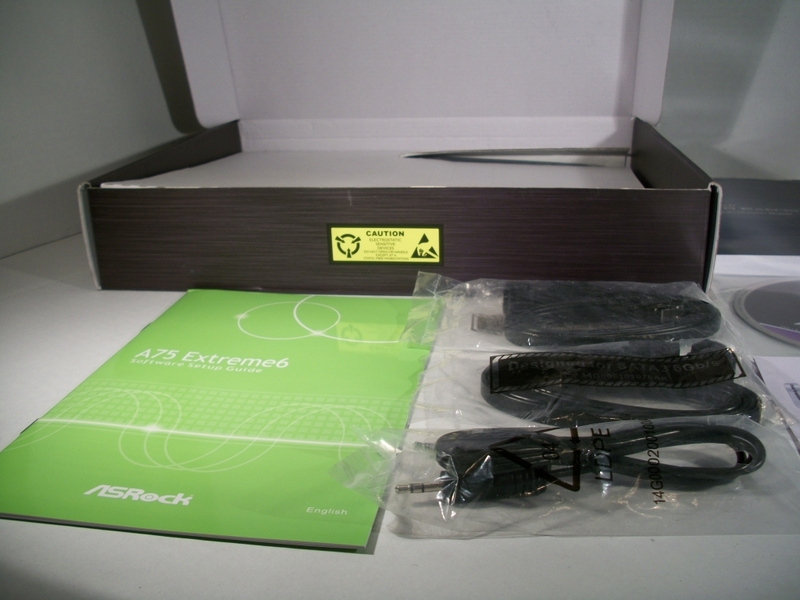 The box provides the standard set of information and logos you would expect to see on a motherboard package. 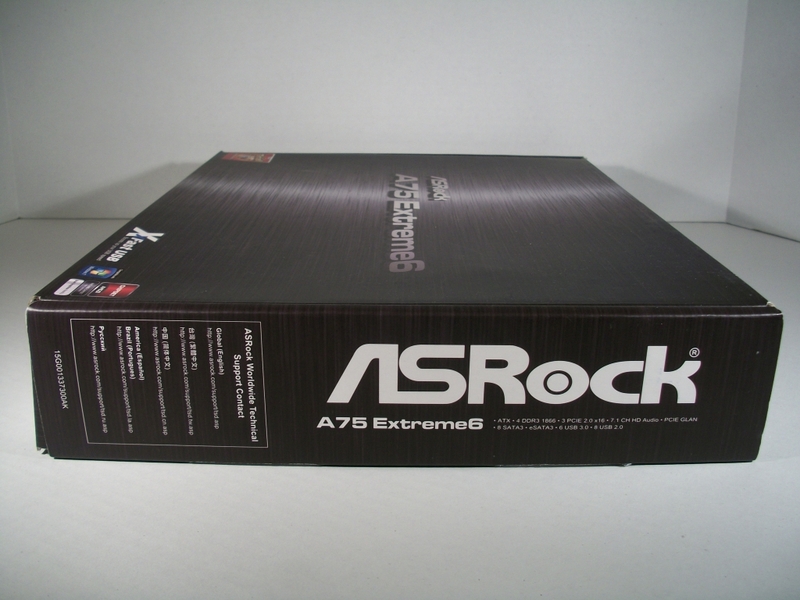 The front clearly states the Model Number and calls attention to the included software and supported Operating Systems. 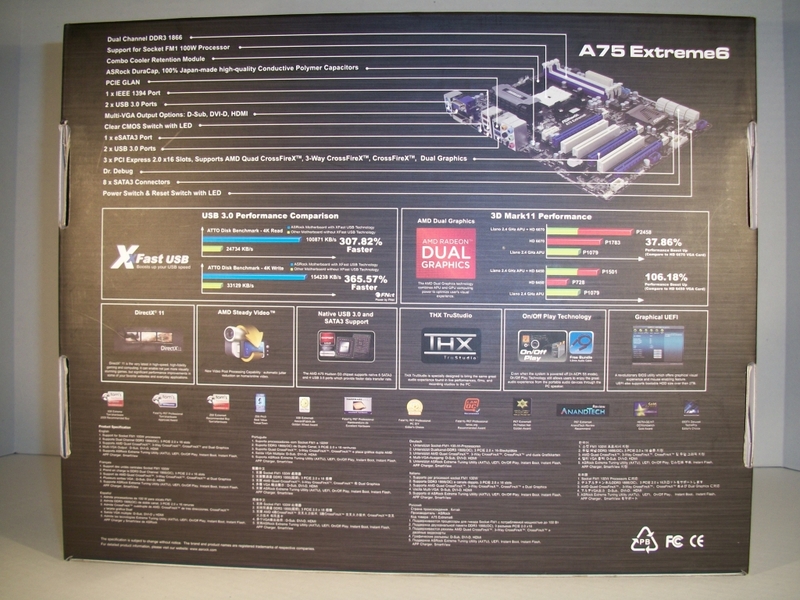 The back of the box provides a brief overview of what physical components are on the board itself and then goes on to illustrate some performance specifications for the included XFast USB software and the AMD Dual Graphics benchmarks. 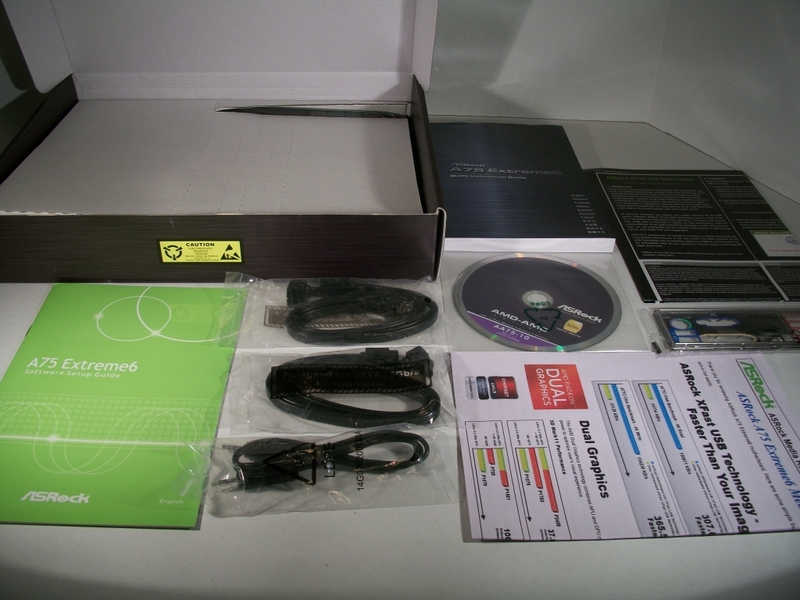 All-in-all the box itself does a good job of highlighting the features and capabilities. 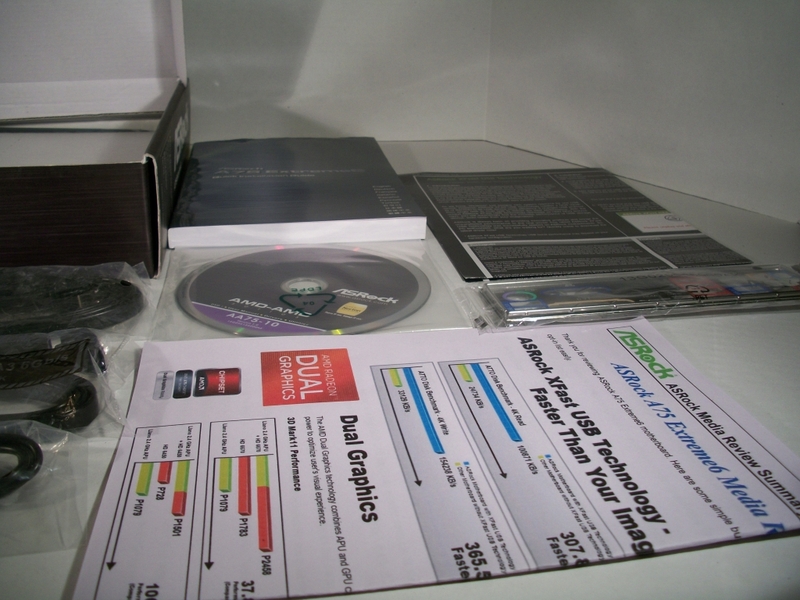 Inside the box lies the real prize and its accoutrements. 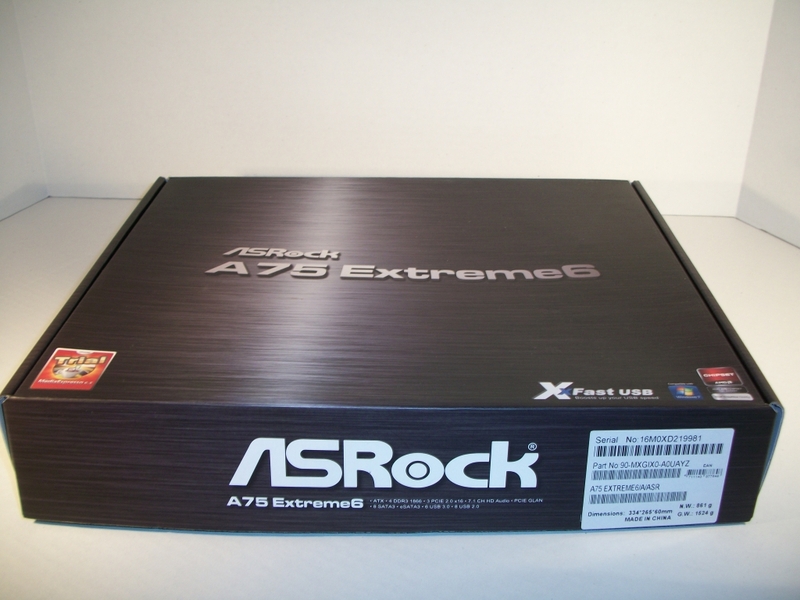 We have the Quick Setup Guide, the Software Setup Guide, the ASRock Driver and Utilities Disk, four (4) SATA cables, a 3.5mm audio cable, the Input/Output (I/O) back plate, and let us not forget the ASRock A75 Extreme6 motherboard itself carefully wrapped in a static-free bag. 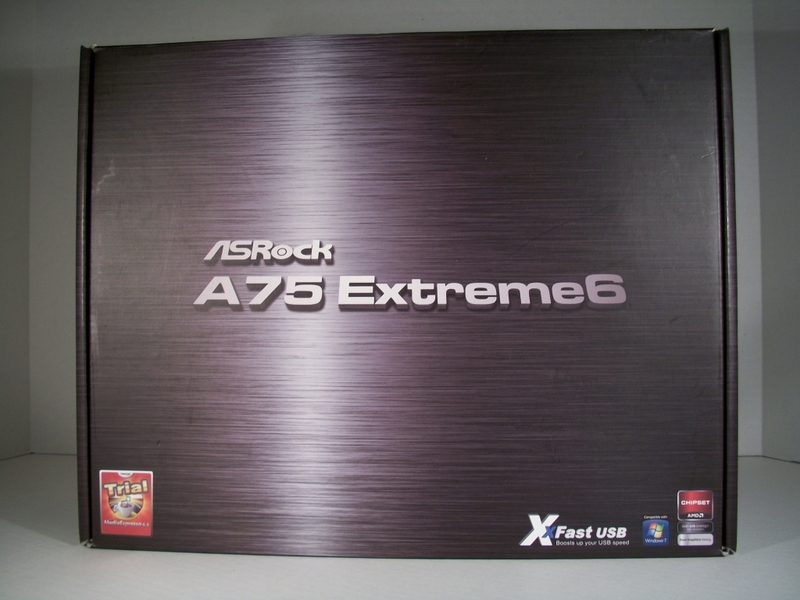 I recently upgraded to an ASRock motherboard and absolutely love it.